I am really digging all the recipe and craft video tutorials that have been showing up on social media. 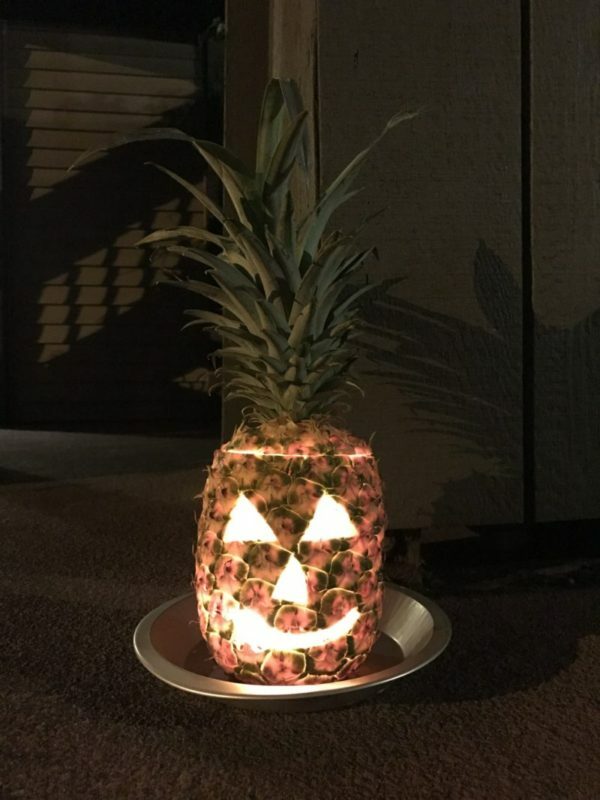 Coastal Living magazine posted this super Pineapple Jack-O’-Lantern tutorial that I just had to try. My son does not like the feel of pumpkin guts, so I always end up doing most of the regular pumpkin carving myself. For this Jack-O’-Lantern you can eat what you scoop out! That is a win-win for me. I did notice in the video that they are using a spoon to scoop out the pineapple. I used this handy dandy pineapple corer instead and was done in less than 5 minutes. I wonder what else can be made into a Jack-O’-Lantern…. How does one come up with chocolate covered bite-sized graham crackers? Serious snack attack is how. Not sure why I had not seen this recipe on one of those tempting social media videos. Super excited that I thought of it myself. After dinner I had a serious sweet craving, but had nothing in the house at the ready. I could have easily got dressed again, put on shoes and went to get a sweet snack at the store, NOT! As I was scouring the kitchen cabinets I discovered I had a 1/2 bag of dark chocolate chips and some graham crackers. I quickly improvised a quick chocolate treat that the whole family enjoyed. They turned out great and since they were bite-size, I saved a few calories (I like to tell myself that anyway). Do not limit yourself to just graham crackers, you can potentially dip anything in chocolate. Break the graham crackers into bit size pieces and place on wax paper. 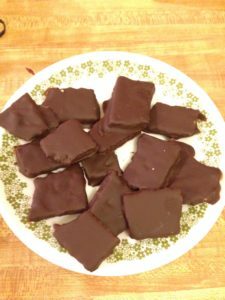 Melt chocolate chips and coconut oil in microwave or over a double boiler. Microwave on high for 10 seconds, stir and repeat until melted. 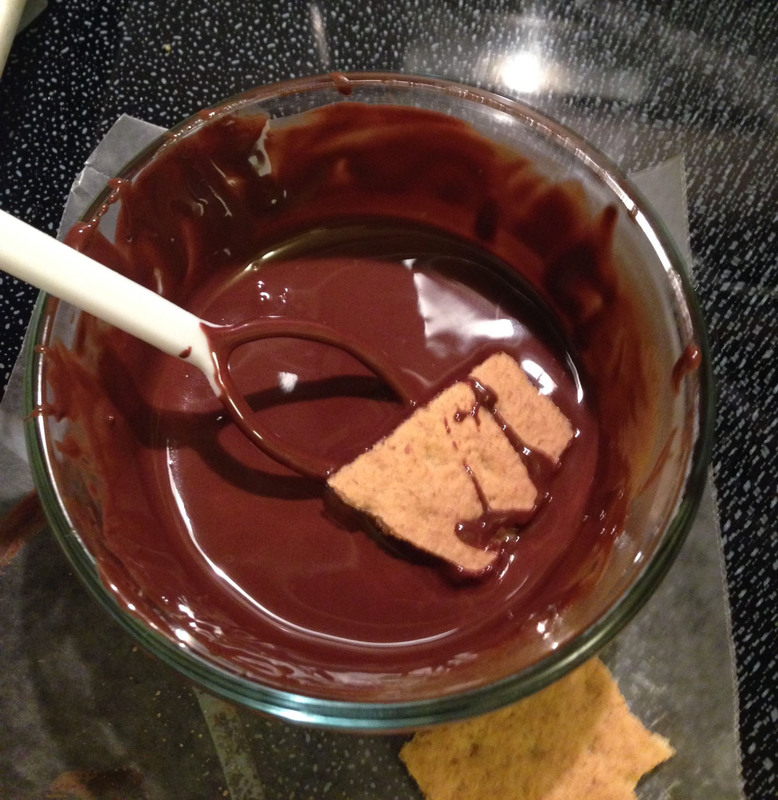 Dip pieces of graham crackers into chocolate using a fork or candy dipper. Ensure to coat entire graham cracker and place on wax paper to set. I did it! 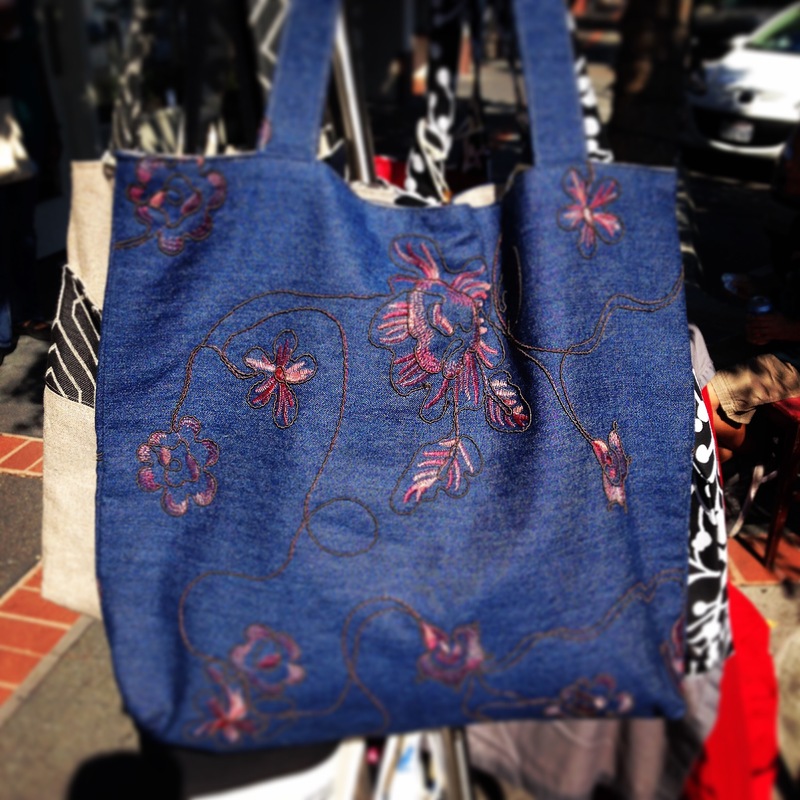 I created my first pattern. Officially, the feet lavender sachet was my first pattern but it didn’t involve a sewing machine so I am going to count the Chalkboard Wine Coaster Pattern as my official first pattern. I am horrible with names and frequently when at a party lose my wine glass. I am always too busy eating or talking with people to remember where I put my wine glass. 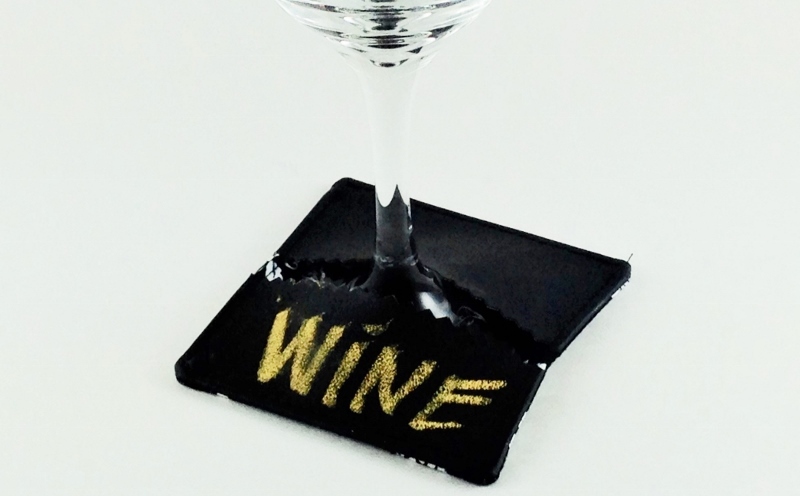 Using these handy wine coasters I am able to find my glass AND if I can not quite recall the name of the person I am chatting with I can look at their coaster ;-). 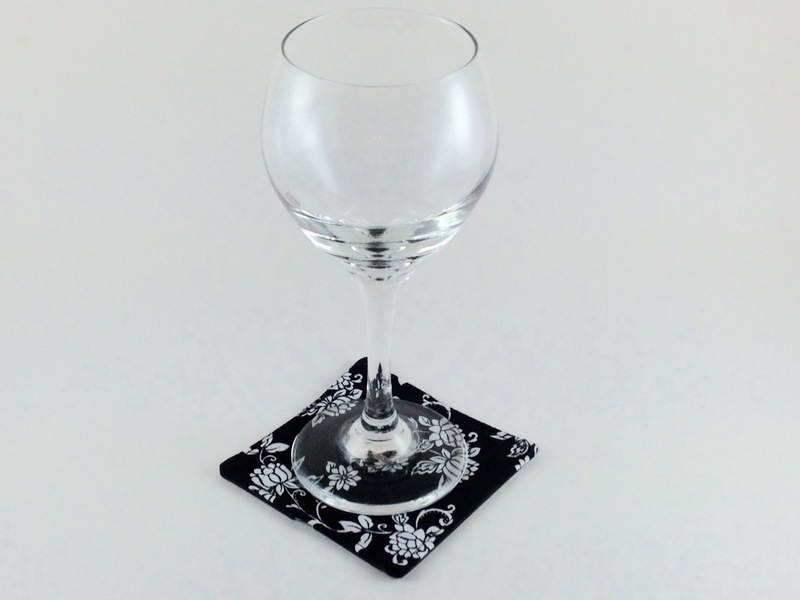 These coasters can be made quickly and you can easily make a set of 6 in an afternoon. 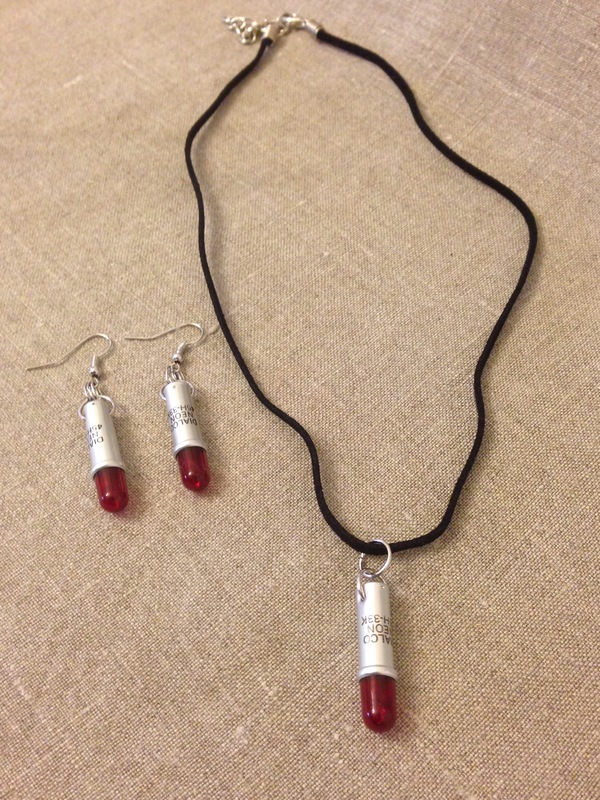 Perfect host / hostess gifts to add to a bottle of wine. The coasters are also reversible, so pick some pretty fabric to show off when using on the other side. 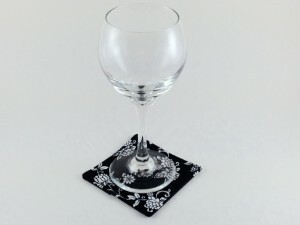 You can download the Chalkboard Wine Coaster Pattern on Craftsy or on my Shop page.